Our review: Aromas of tree fruit (pear, apple) with notes of citrus and a hint of spice are exhibited by this pale yellow-gold wine. The palate has a similar flavor profile, which is accompanied by a brisk acidity. The wine finishes cleanly, but is relatively brief. Our rating: This is an example of a wine that is much better when consumed with food than when enjoyed on its own. Alone, it is somewhat harsh — though that's probably too strong of a word to use — but in conjunction with a meal, it's quite nice. We served our bottle with a Spanish chicken and rice dish, and found it paired beautifully, the wine complementing the onions, bell peppers, and spices present. Probably not the most versatile of wines, but one that will definitely be enjoyed with the right meal. We rate it Above Average. Taste profile from the winemaker: Boasts an enticing aroma of fresh, ripe pears with appealing peach, vanilla, and spice scents adding complexity. A pretty wine with a round, creamy palate and crisp entry, it has the typical tonic water, pear, and floral grassy flavors that culminate into a lush, silk-textured finish — inviting pairings with food. This wine was received as a sample for review. See our Disclosure Policy for more information about our reviews of sample products. 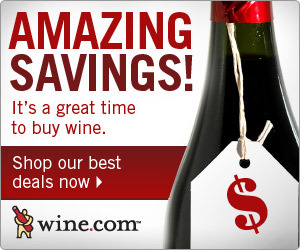 Winery website: Robert Mondavi Wines (Private Selection). The information on the website is a little dated; the most recent information mentioned is for 2008 vintages.